It's been exactly one week since proposals to merge many of the services in Hammersmith and Fulham, Kensington and Chelsea and Westminster Councils were announced. "Labour Councillors in Westminster, Kensington and Chelsea and Hammersmith and Fulham are all in favour of any genuine efficiencies and we continue to be determined to root out waste. 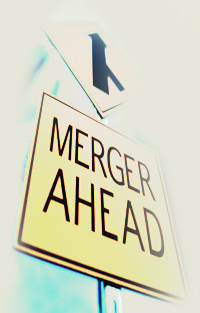 We note with interest the many innovative back office mergers that have been implemented across the public sector in recent years. We believe major long-term changes, like this, should be above party politics and not be driven by one party’s political agenda. This merger would result in services being provided to a population equivalent to the size of Glasgow. Large Councils are not necessarily more efficient and indeed, there have been many high profile failures when councils have merged services before. We believe that there must be cross-party involvement and wide public support for these proposals. The Conservatives are not ruling out using this merger as a mechanism for even more front line service cuts, stealth taxes and loss of vital jobs, or as an excuse to further to undermine local democracy or sell off more essential community buildings such as youth clubs, schools, libraries and homes. The Conservatives have not explained how local residents will keep their ability to hold their own council to account on important matters of local concern. The Conservatives have not explained how any newly elected administration would be able to secede from any part of this if political control changes at the local elections in 2014. The Conservatives have not explained why these particular local authorities should merge services. Indeed, we would suggest that there are other possible combinations that are more geographically, socially and economically suited. Already, there appear to be different messages coming from the three Conservative authorities. This confusion does not bode well for the project’s success given it is only just getting started. We call on the Conservatives to take a more open, inclusive and transparent approach to these merger plans.